On July 1st, Jack Wilshere’s contract with Arsenal will expire and the longer it’s drawn on without a signing a new deal, the likelihood increases that the English international will be plying his trade elsewhere for next season. 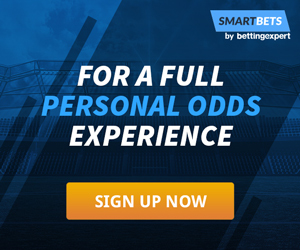 What Are The Odds analyses the Jack Wilshere next club odds market via BetVictor, to see where the midfielder will be at when the season kicks off in August. According to the Mirror, Southampton are the latest club to show interest in signing Jack Wilshere next on a free transfer, and with odds of 14/1 (15.0) they are relative outsiders, but this could shorten quickly if Mark Hughes’s side show more concrete interest. The favourites still are Crystal Palace under Wilshere’s former England manager Roy Hodgson. The renewal of such a partnership could be just what the midfielder needs at this stage of his career, and with Ruben Loftus-Cheek gone from the Palace midfield, Wilshere may see plenty of first-team action. The Eagles are backed at 13/8 (2.63) to move and tempt Jack Wilshere away from north to south London. Sampdoria, according to the Mirror, are also in the running and although the Italian side would make a bit of wild card choice, there appears to be legs to the link with BetVictor backing a move to any Italian club with odds of 8/1 (9.00). Should Wilshere decide to start with a clean slate the best opportunity may be to move overseas to Serie A in Italy, or elsewhere. West Ham also look like a real option with just bigger odds of 7/4 (2.75) than rivals Crystal Palace. New manager Manuel Pellegrini has lifted the mood and the ambitions around east London for the upcoming season and the more attacking style that’s likely to be implemented could be exactly what gets Wilshere back to his best. Everton are another outside option at 12/1 (13.0), with Leicester, Wolves, Bournemouth and Watford all mentioned, albeit to possibly make up the numbers in this Jack Wilshere next club odds market.